We are proud to offer 3 different print formats that are all unique and suit different styles, tastes, and budgets of our collectors. Gallery Wrap Canvas Prints, Metal Prints, and Traditional Prints are the formats. All formats except Traditional Prints are "finished" formats and come pre-installed with hanging hardware. It is possible to do additional framing if you desire, but it's not necessary and we don't offer it at this time. 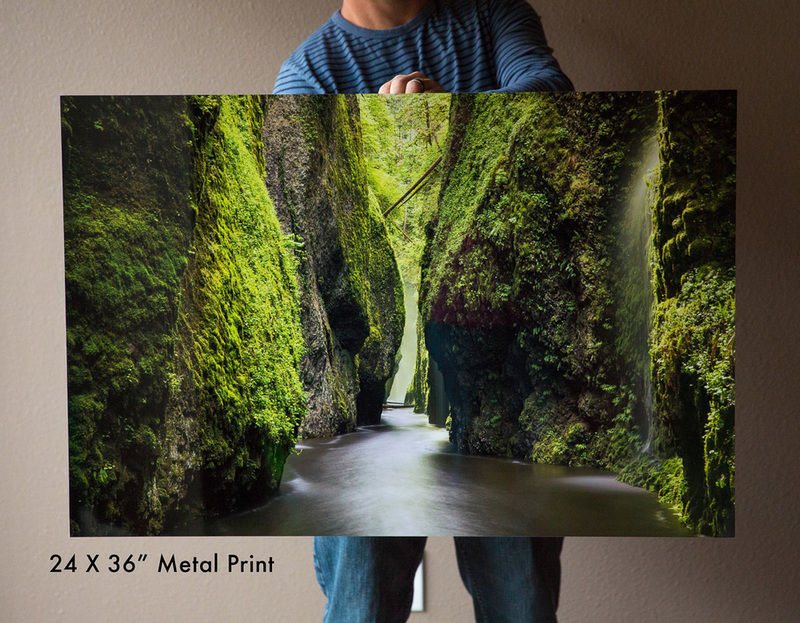 Metal Prints are absolutely stunning and tend to be our most recommended format for their versatility, beauty, and clarity. 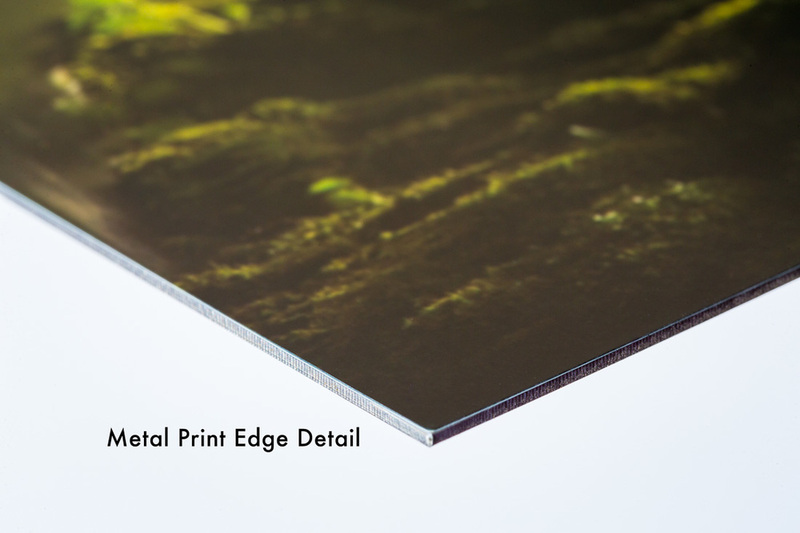 Metal prints are a cutting edge technology where dyes are infused directly onto specially coated aluminum sheets. Colors are vibrant and the luminescence is breathtaking. Ultra-hard scratch-resistant surface is waterproof and can be cleaned easily with any commercial glass cleaner. Metal prints include a "float mount hanger" on the back, so the print floats 3/4-inch off your wall. 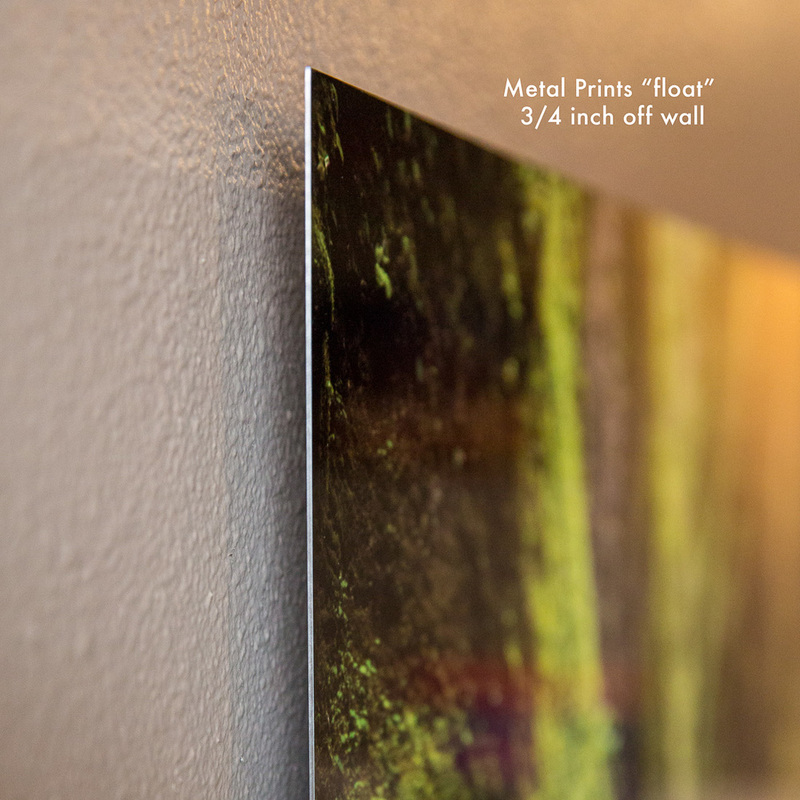 Metal prints are reflective in nature, sometimes they aren't the best choice in rooms with large bright windows directly across as they'll show reflections. Gallery Wrap Canvas (also called Giclée) is a stunning artistic format. Printed directly onto museum quality canvas material using high quality archival inks. 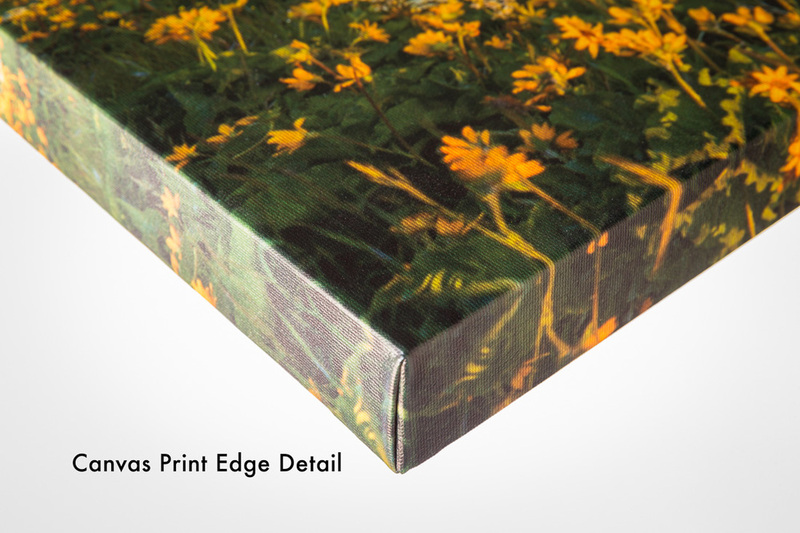 The Canvas Print is wrapped around a wood stretcher frame so the photo edges are visible on the sides of the frame a depth of 1.25-1.50 inches. Each canvas print is finished off with a clear acrylic coating, providing a very scratch resistant protective layer with a satin luster. 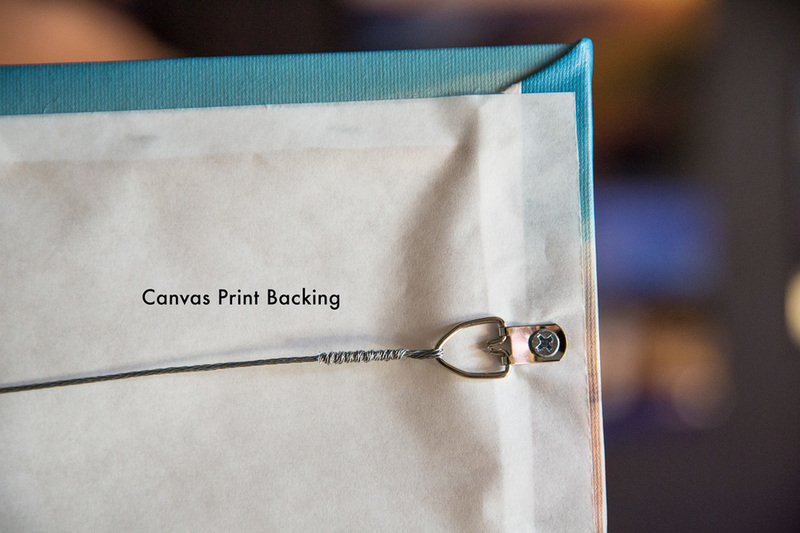 Canvas prints include necessary hanging hardware pre-installed. Gallery Wrap Canvas' also work particularly well in areas with large bright windows because of the canvas' non-reflective qualities. Traditional photo prints are loose prints, and require matting and framing to be hung on your wall as a finished piece, which makes them an ideal choice for those who want to select and customize their framing at a frame shop of their choice.We use only professional archival photo papers that offer sharp detail and high intensity colors. 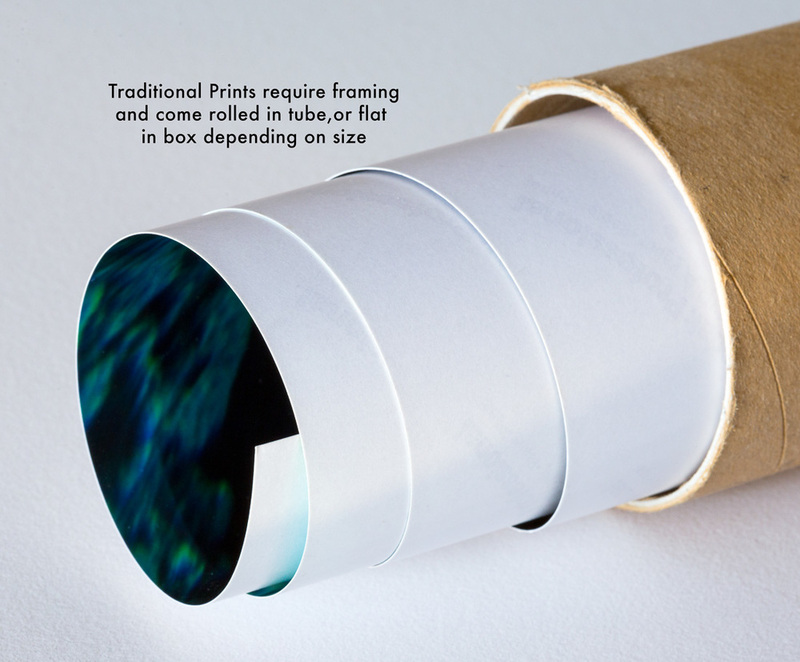 Traditional prints are shipped flat or rolled in a tube, depending on the size. CAN’T DECIDE WHAT FORMAT OR PIECE IS RIGHT FOR YOU? WE CAN HELP! The style of art you choose to display has the ability to shape the feel in your chosen space, and we want to make sure it’s the right feel and mood you are going after. It could be that you want to feel relaxed, or maybe creative, or simply want a conversation piece because you share a connection with the destination captured in one of our images. Maybe you want the piece to say something about you! All these things are taken into consideration when investing in art. There are also others, like room size, paint colors and lighting, which play a vital roll in choosing the perfect piece(s). Sometimes it can be daunting to go through the process of finding the perfect pieces alone. We like to simplify that for our clients and we delight in helping find pieces that speak to you. For a nominal fee of $100 per room ($400 max per house), we can personally help you pick images, formats, and sizes that pull the whole room together! New technology allows us to show you various images, sizes and collections on YOUR own walls via an iPad preview. See exactly what your space will look like with various pieces on the wall, no more guess work!